For years I have been searching for the perfect body scrub and finally, I have found it. 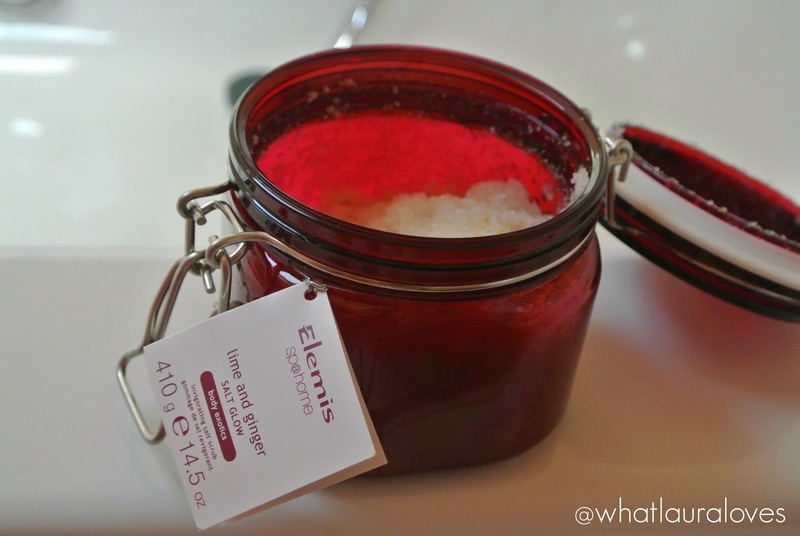 This big pot of goodness is the Elemis Lime and Ginger Salt Glow. I know it isn’t all about the packaging but lets give it a little nod first of all. This glass jar is currently looking superb against my white bathroom and I’ll be keeping it once the scrub is used up to store my hair bobbles, grips and clips in. I don’t know about you but the sides of my bathroom are littered with hair accessories that I’ve taken out on my way into the water and never found their way back to their home land of my hair accessory bedroom drawer. So I’ll be popping them all in here and then when it gets full I’ll replenish the stocks in my room, leaving just a few clips inside for when I don’t want to wash my hair or for when I want to clip it up if I’ve got a mask on, while I’m busy hair removal cream-ing my legs! 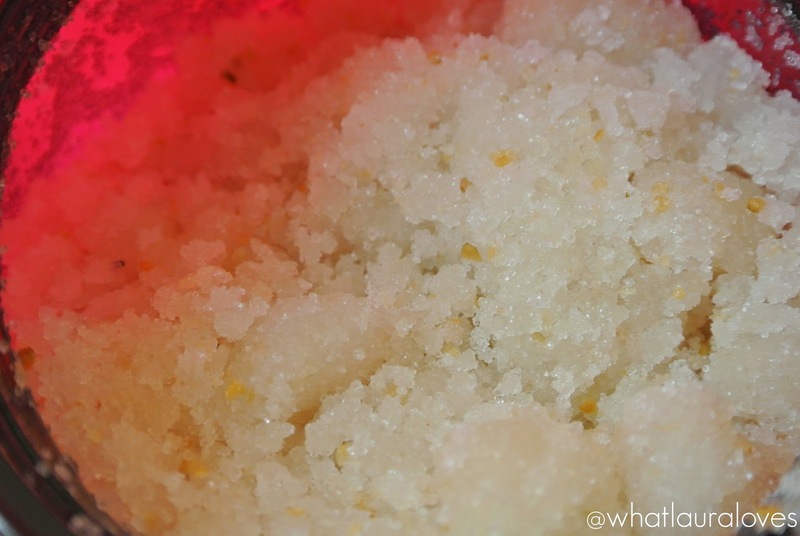 The Elemis Exotic Lime and Ginger Salt Glow is a sea salt body scrub that is super super gritty and the only product I have found to give me a truly spa like scrub from my own bath tub. The ginger in this scrub is included to stimulate the metabolism and help to tone the body and the lime peel helps to energise, cleanse and purify the skin. It also has a blend of kukui, camellia and jojoba oils which work to exfoliate the skin, replenish the moisture and add softness to it. Not to mention, how incredible they make it smell. I like to use this when my skin is dry as I find that if my skin is very wet when I use it then it isn’t as effective because the scrub isn’t set in a cream or gel to hold it together. With that in mind, I tend to sit in the bath or stand in the shower, without any water on and dry scrub my skin in circular motions. 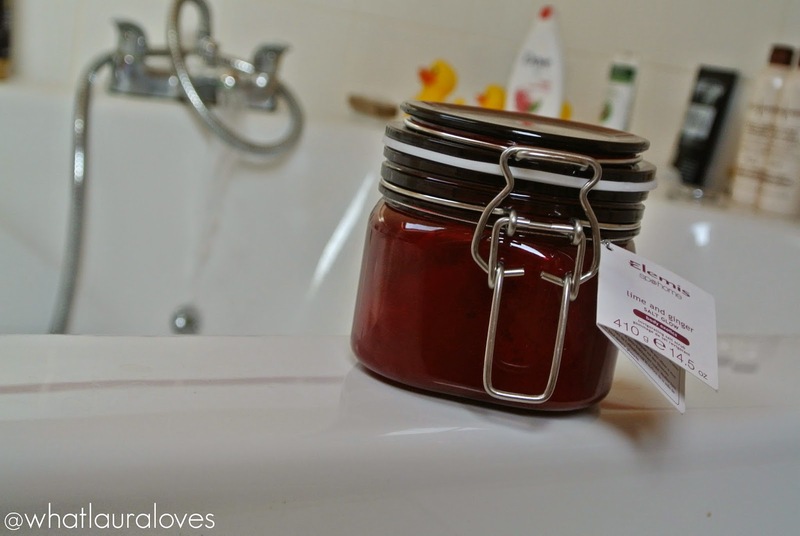 It feels very invigorating on the skin and very abrasive so it is perfect for a pre holiday scrub. Using this method, I find that all of my dead skin cells are sloughed away and my skin looks incredibly bright, feels super smooth and looks perfected. The oils really helps to condition and nourish my skin and even after washing the scrub away, the stick around on my skin and really sink in deeply. It doesn’t leave my skin with an awful residue or feeling greasy at all, simply very nourished and looking renewed, as though my skin has been given a new lease of life. Applying the scrub in this way feels very awakening and so successfully scrubs my skin that I only need to use it once per month, or once every three weeks if that. I tend to use lighter body scrubs in between, perhaps a couple of times per week just to keep my skin ticking over but as soon as I use this one again it is like having new, perfected skin, every single time. If you’re not a fan of using scrubs dry then I would suggest using it with a shallow amount of water in the bath or have a quick shower, shut off the water and then use it, don’t use it under the running water as you’ll just be wasting the product. 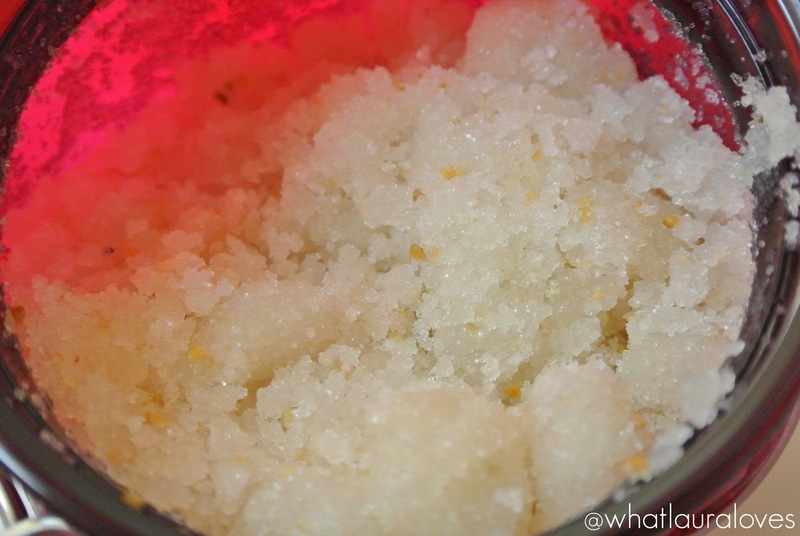 The scent of the oils in this scrub makes it smell incredibly spa like so when I use it in the bath, I like to make sure the plug is in and after I’ve scrubbed my skin with it, I then fill the bath up with water and allow the salt scrub to become bath salts. They really fragrance my bath water and bathroom as a whole, creating such a a relaxing experience. I discovered this scrub back in May when I had a full body scrub at a hotel spa. The scrub that we had was the Lime and Ginger full body scrub and it is basically the same as this scrub, except that when you have the treatment in a spa, the therapist generally applies the warm oil separately to your skin first and then scrubs your body using the dry salt whereas when you buy the product, the salt comes with the oil already in it. This makes it much easier to give yourself a spa treatment from the comfort of your own home and since it is ‘Pamper Sunday’ in WLL HQ, guess what I’ll be doing tonight? You can buy the Elemis Lime and Ginger Salt Glow from Look Fantastic, John Lewis and Feel Unique. I have this and have nearly finished it. Love the snell, just watch out if you have any cuts!!! I love the sound of this scrub! Like you I like an abrasive scrub every now and again (I love fake tan so need them harsh to get it off) so I'll definitely try this one. I really like the sound of lime and ginger together too. Lov, body scrubs, what an awesome way to pamper yourself too. Ooh I bet that smells divine! I love the packaging too. This sounds amazing. I am a massive fan of Elemis. This is a product which I would love to try. I think I would really like the smell of this product. I love Elemis products as they always smell amazing. I've never tried this before but it sounds right up my street!